If you missed Brad Hall in his last onstage performance in Massachusetts, you can be easily forgiven. The California boy played the lead role in a production of “Hamlet” at the Williston Northampton School in Easthampton during his sole year of residence in the Bay State. 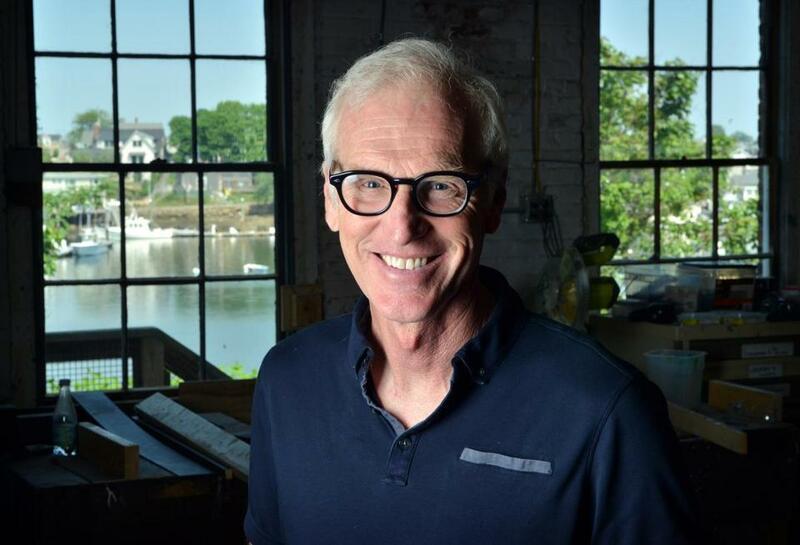 Now he’s in town for Gloucester Stage Company’s regional debut of Lucy Prebble’s play “The Effect,” which runs through July 8. Though he sometimes performs improv comedy or is tapped for stage shows like “The Kentucky Derby Is Decadent and Depraved,” in which Tim Robbins portrays Hunter S. Thompson — they most recently performed that one evening in May, at New York’s Town Hall — “The Effect” is the first stage show with a full rehearsal process and performance run that Hall has appeared in since . . . well, that’s a good question. “I hadn’t done a play since I did ‘Our American Cousin’ with John Wilkes Booth in Ford’s Theatre, so it’s been a minute,” Hall says. So how did Brad Hall end up in Gloucester? As is often the case in show business, it’s simply a matter of relationships. Hall has a long history with Sam Weisman, a well-traveled director for theater and television who these days teaches at Brandeis University. Weisman makes his own Gloucester Stage debut with “The Effect.” He was brought into the fold by the company’s artistic director Robert Walsh. The cast also includes Academy Award and Grammy Award nominee (and Obie Award winner) Lindsay Crouse, who has become a familiar face in recent years at Gloucester Stage, in addition to Susannah Hoffman and Mickey Solis. Hoffman and Solis play two strangers participating in a drug trial who fall in love — though it’s unclear if their strong feelings are a side effect of their romantic chemistry or brain chemistry. Hall and Crouse play the doctors administering the trial, whose own motives (and relationship) prove influential in the ongoing experiment. The play’s London premiere in 2012 at the National Theatre won an award for best new play, and it went to New York in 2016. Weisman felt strongly that he needed an actor with real stature to balance Crouse’s strong stage presence. And he and Hall had long fantasized about working together in the theater if the right opportunity ever came along. Hall cofounded the Practical Theatre Company in Chicago as an undergrad at Northwestern University, which staged new plays and improv comedy shows, and worked as a stage actor at times in the 1980s. Hall is getting into the swing of things while he’s in the area. An avid cyclist, he rented a bike from a Gloucester shop and has been exploring the region. He’s also a big surfer, and was impressed by the three intrepid surfers he saw off Good Harbor Beach on a rainy and chilly day recently. Hall met another of Gloucester’s committed surfers in a coffee shop, from whom he plans to borrow a board and wet suit once “The Effect” is safely onstage. In between biking, surfing, and writing scripts for “Picture Paris,” Hall will also celebrate his 30th wedding anniversary with Louis-Dreyfus during the play’s run, and figures she’ll come see the show around then. All in all, this gig may be unexpected, but it seems to be making sense. “Everybody says the theater is their first love, but for me and Sam [Weisman] that might actually be the case,” Hall says. “If you drugged me with truth serum and said I can only do one thing, I would probably have to say that I would be an actor in the theater.